So what's the difference you ask? Well, technically speaking, sugar and cream switch places at #3 and #4 on the ingredient list, the sea salt is out, we've substituted soybean oil for coconut oil, and we've got vanilla instead of cocoa and brown rice syrup. Actually, it sounds like a lot of changes when I say it that way. And here's how it looks, kind of like a soft brown leather. In fact, it kind of tastes like a soft brown leather... hehehehe, sorry, that doesn't sound like a compliment does it? 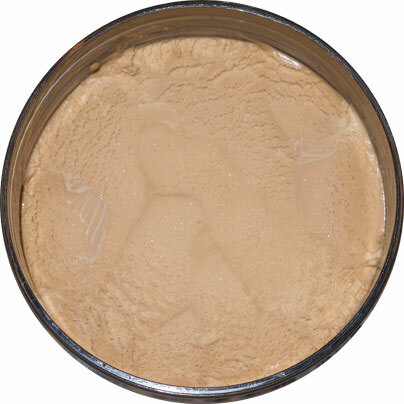 The dryness has definitely been taken down and replaced with a milky vibe instead, so there is a very soft and smooth texture going on here. Not sure how else to describe it. Just imagine licking your tan microsuede couch... no wait, that doesn't sound like a compliment either. The flavor combo definitely plays out sweeter here. It's trying to be a delightful and somewhat buttery treat. This is a distinctly different product which is kind of intriguing. I guess I'm just surprised (impressed!) that Talenti took the time to create two separate caramel flavors when most companies can barely be bothered to make one. Now some will miss the truffles... ok, alot of you will probably miss the truffles, but it's not like Talenti jam packs in truffles anyway. I do wish there was something else going on here though. Can you imagine if they used their tiny chocolate flakes in here? heavenly! maybe? I don't know, it's hard to be sure without trying, but your mind can't help but wonder about the possibilities because this just isn't a flavor you plow through. It's just not hooking me in. It's giving me a distinct taste, but I can have several bites and go "yeah, I'm good". On Fifth? Sixth? Scoop: Ok, I've dug into this one several times and I am currently waiting for the last serving to temper a bit... mmm, tempered enough [scoop scoop scoop]. I have the same thought every time I eat this flavor, it needs truffles! or chips! or something! It's a really nice flavor, a nice milky caramel, but it's begging to be complimented by something --- Ok, just threw in some golden Oreos, I couldn't help myself [smushing/stirring/analyzing] Funny how there aren't any caramel Oreos available... ok, apparently there were dulce de leche Oreos way back in 2006. Anyway, I guess the moral is that I personally prefer a sweeter caramel, but if milky caramel is your thing (or if you just love trying every talenti flavor like I do), then pick this one up. Why is there oil in there? Gelato should be cream, sugar, eggs, milk. ummmm..... it's only a little? @Adam: The oil is in all of their flavors using some sort of swirl. I'm guessing its an ingredient in their dulce de leche that's incorporated into this flavor. I love trying every Talenti flavor! I'm intrigued by this one! I got you. I know Edy's uses coconut oil in their caramel swirl, but Friendly's does not. I wonder if there is a noticable change in texture/taste? I'm really only interested b/c I've been making a lot of my own ice creams recently, and trying to understand the chemistry of what some items are added. I like the name best of all. When my need for talenti hits me I will revert back to sea salt caramel. What about pear w blue cheese gelato. Recently I had some at the train depot in Richmond Indiana. 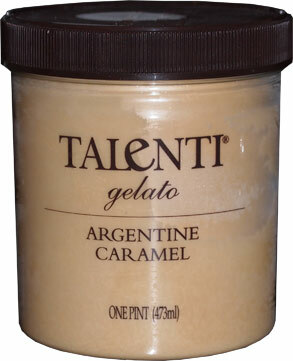 Talenti Argentine Caramel ice cream is the best ice cream in the USA. I don't understand why I can't find it anymore in this city. @Anon: this is long gone, sorry. It doesn't even exist on their numbering scheme.